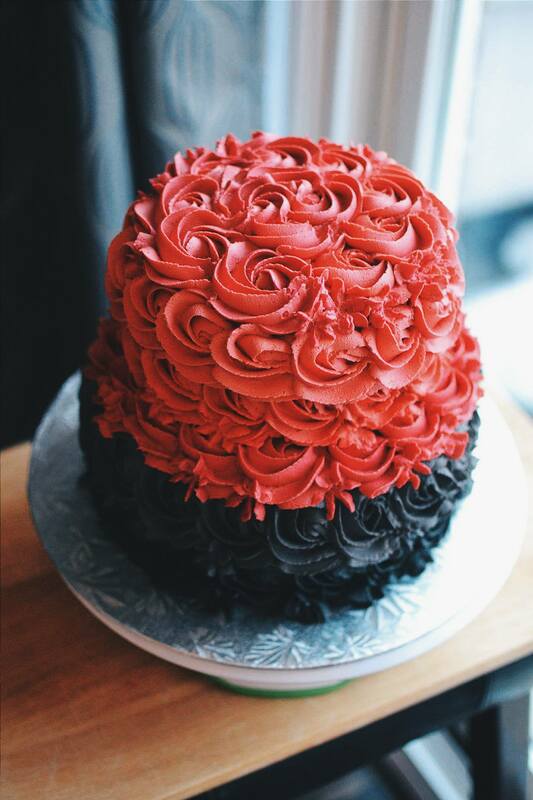 One of my classmates asked me to provide a cake for his party – and he requested it to be very dramatic! 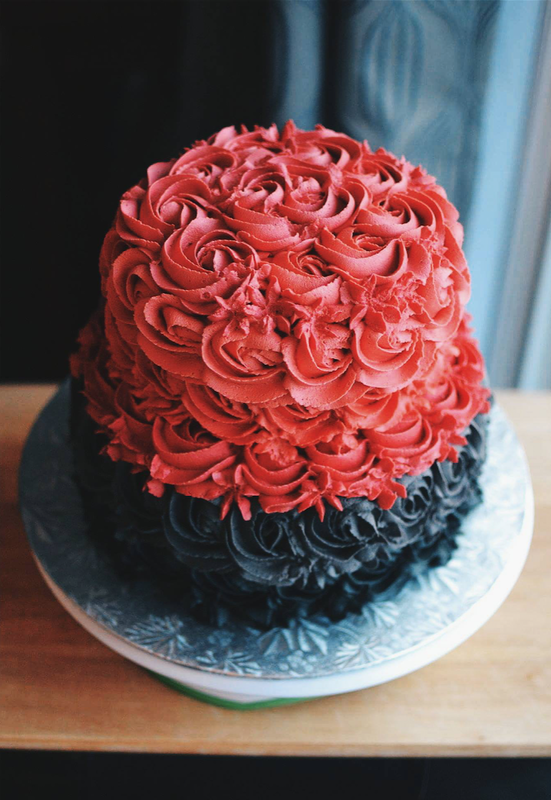 He wanted a two-tiered red and black rose cake. I’ve never created black roses before, so this was something I was excited about. For the flavour, he wanted it to be gluten free (and peanut free!) red velvet, which I’ve also never done before. I’ve made vanilla and chocolate gluten free cakes/cupcakes, but never red velvet. 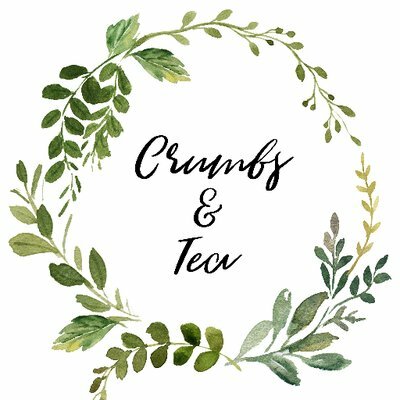 This was a challenge, but I was really excited to be doing it! 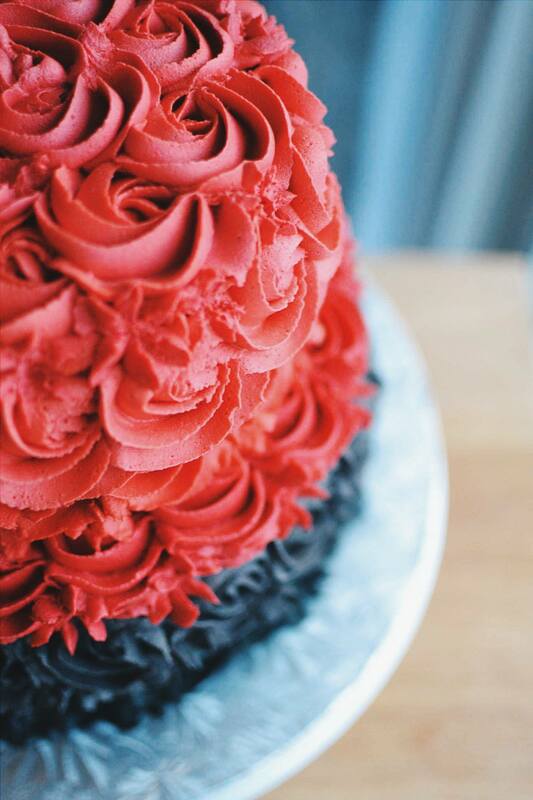 Creating red buttercream is always a difficult process. 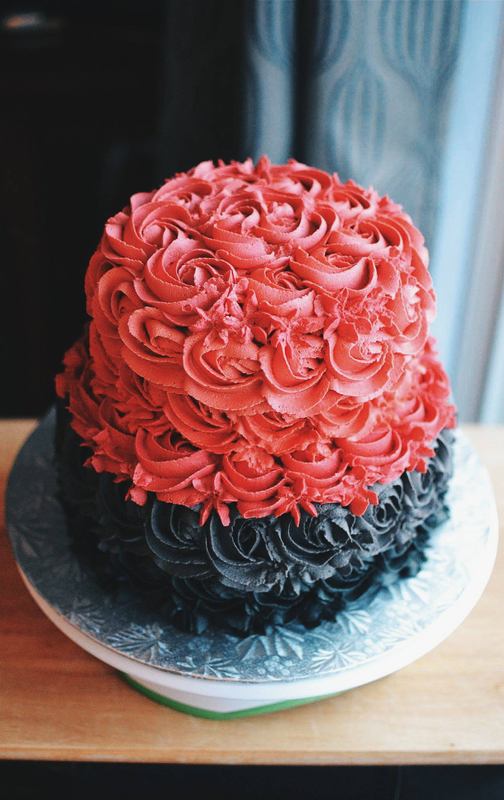 Since you are starting with white buttercream, adding red food colouring will just make it pink. The more you add, the more pink it gets. I’ve come to the realization that you need to let the buttercream sit, because overtime it will darken. Normally, I just use Wilton’s Red Food Colouring, but this time I used that in combination with Loretta Red Food Colouring. 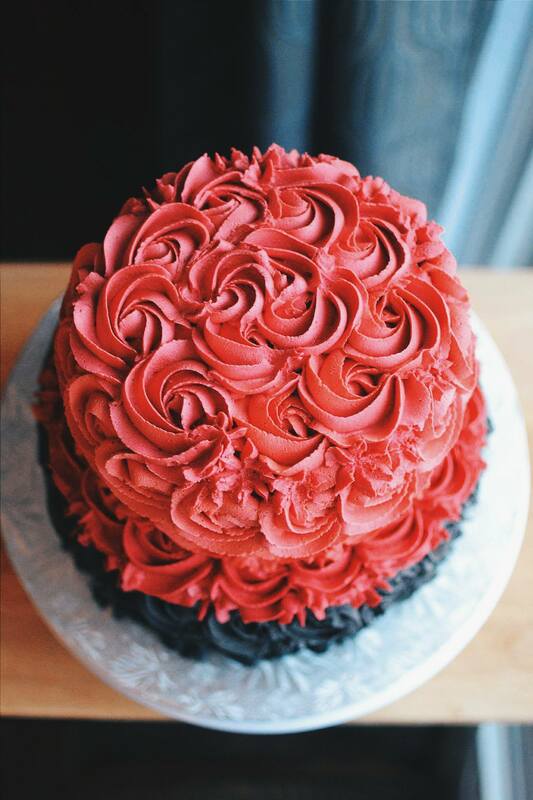 Yesterday, I made the red buttercream a couple hours in advance and it darkened up to a nice dark red. 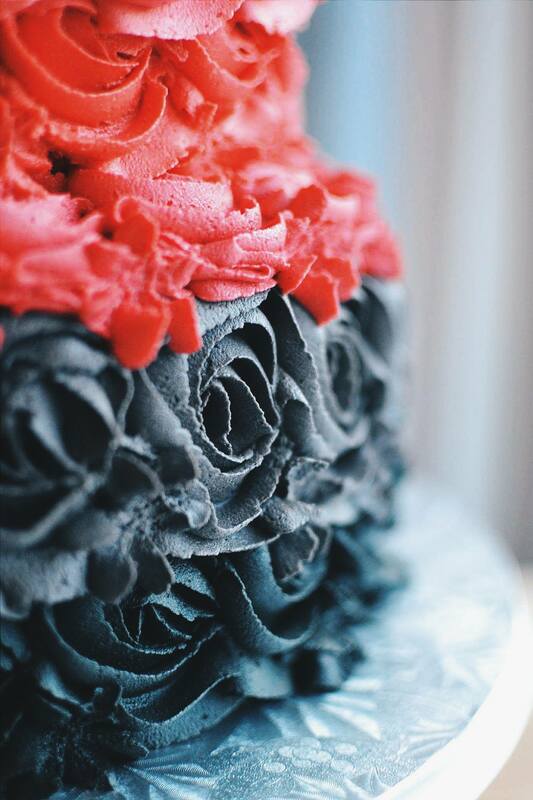 The best way to achieve black buttercream is to make chocolate buttercream (with cocoa powder) and then add black food colouring. Mix together all the dry ingredients in a mixing bowl. In a stand mixer fitted with a paddle attachment, mix together milk, vegetable oil and eggs. Add vanilla, vinegar and red food colouring. Slowly add the dry ingredients into the wet ingredients. Mix until combined. Pour cake batter into the cake pan and bake for 40-44 minutes, or until toothpick comes out clean. 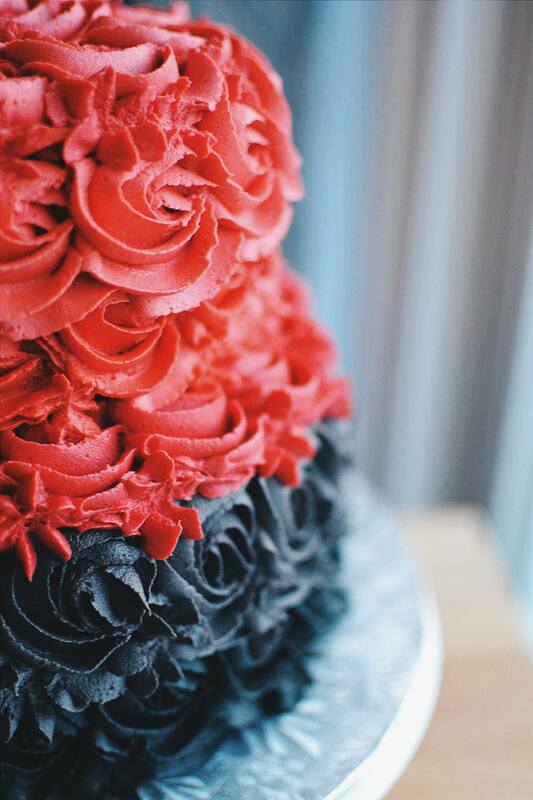 *I baked two 8″ cakes, so I had two thick layers of cake, for the bottom tier. *I used this exact recipe to make my second tier by filling two 6″ cake pans. Gradually add icing sugar, one cup at a time, beating well on medium speed. Add cocoa powder. Scrape sides and bottom of bowl often. 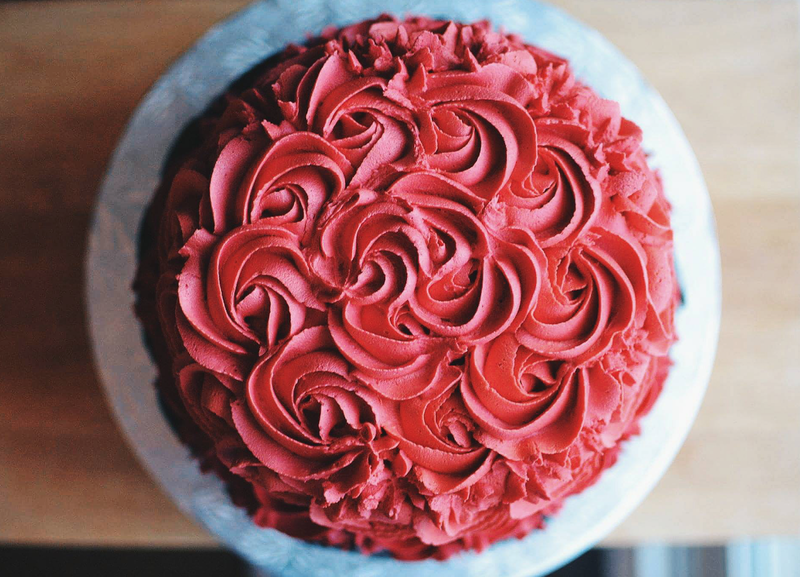 Add the desired amount of red food colouring to your icing until you reach the colour you like. Gradually add icing sugar, one cup at a time, beating well on medium speed. Add cocoa powder. Scrape sides and bottom of bowl often. Add the desired amount of black food colouring until you reach the colour you like. Thank you very much, Jess! Much appreciated.